SCI is an independent organization concerned with the fellowship, collaboration, career goals, and objectives of new and contemporary music composers and those interested in topics related to composition. For Membership Information, including the member application, visit our membership information page. The competition is for composers who are members AT THE TIME OF SUBMISSION. If you have composition students or know composers who might fit into either level, please consider personally inviting them to participate, and tell them the reasons for your own SCI membership. It is clear that women composers are a much smaller portion of the SCI membership, and it is also clear that there has been a much smaller proportion of women entering the contest in the past. This may also be true of composers-of-color, but it harder to know that because it is often not apparent from names. 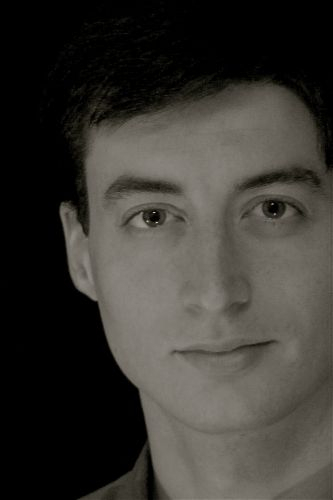 I invite you to make a special effort to encourage any young composers to enter who might not have thought about joining a professional organization or who might be unsure of the reception they would receive. An influx of young composers, including those in under-represented groups, would be a lovely bonus outcome of this year?s competition and we would welcome them! For further information, please feel free to contact Zae Munn. *Housing Availability: Best Western $74+tax. A room block of 15 kings and 5 double queens is being reserved for SOCIETY OF COMPOSERS - you can call 505-242-7022 to make reservations. Here's a link to other places - please note these are the February rates. If you call other hotels, be sure to explain you are a guest of UNM and would like to have the UNM rate - and March rates are sure to be higher. 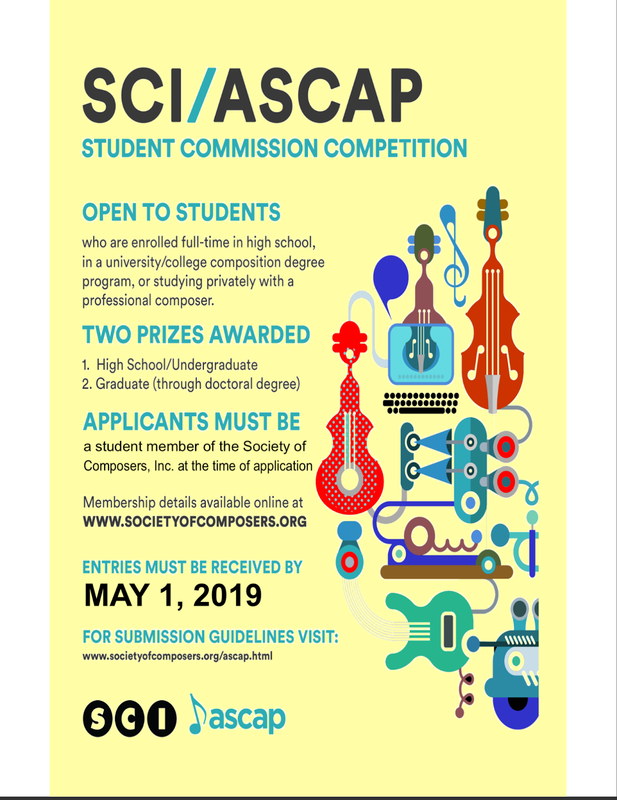 The annual SCI/ASCAP Student Commission Competition is now open, with two levels, one for undergrad/high school composers and one for graduate students. Details are available at this link, and there is a pdf poster attached to this email for printing and email forwarding. If you have composition students or know composers who might fit into either level, please consider personally inviting them to participate, and tell them the reasons for your own SCI membership. It is clear that women composers are a much smaller portion of the SCI membership, and it is also clear that there has been a much smaller proportion of women entering the contest in the past. This may also be true of composers-of-color, but it harder to know that because it is often not apparent from names. I invite you to make a special effort to encourage anyyoung composers to enter who might not have thought about joining a professional organization or who might be unsure of the reception they would receive. An influx of young composers, including those in under-represented groups, would be a lovely bonus outcome of this year?s competition and we would welcome them! SCI REGION VI "CALL FOR PAPERS and PRESENTATIONS"
The Society of Composers, Inc., Region VI (AR, KS, MO, NE, OK, TX) Conference will be held April 11-13 at Texas A&M University-Commerce in Commerce, TX hosted by Dr. David Davies. Along with the performance of works by SCI composers, we are also extending a call for Papers and Presentations by members of SCI who wish to share their research pertaining to compositional technique, pedagogy, contemporary trends, and analysis. Please submit abstracts of 300 words or less as a PDF through New Music Engine. In the file, include any technology requirements. Paper sessions will last a total of 30 minutes, including 10 minutes for questions. Individuals who have submitted scores in response to the earlier call may also submit for the paper presentation. Composers are limited to one paper submission each. The deadline for submission is November 30th and applicants will be notified via email by January 15th. In order for us to be sure to meet our Conference program printing deadline, we ask that a submissions include a 150 word bio and print quality jpeg headshot. For additional information you can contact Dr. David Davies at david.davies@tamuc.edu. Please upload your submission to New Music Engine. The Society of Composers, Inc. would like to congratulate the winner and honorable mention of the first SCI Jazz Contest 2018! The Society of Composers, Inc., Region VI (AR, KS, MO, NE, OK, TX) Conference will be held April 11-13 at Texas A&M University-Commerce in Commerce, TX. All composers are welcome to submit works for consideration, though preference in score selection will be given to SCI composers who are members of Region VI. To join, go to www.societyofcomposers.org. 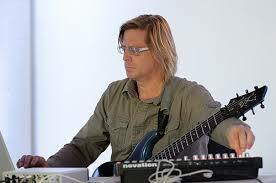 Selected composers must join SCI and also attend the conference in order for their work to be performed. Submissions from student composers are strongly encouraged, as are submissions from composers who are able to supply their own performers. Composers may submit up to 2 works for any of the listed performers/ensembles (with exceptions for those who are able to provide their own performers). Works should not exceed 20 minutes in length and selected movements of longer works are acceptable. All scores and recordings should be submitted through the New Music Engine site. MIDI recordings are acceptable if no live recording is available. The deadline for submission is October 12, 2018. Composers whose work(s) will be performed at the conference will be notified via e-mail no later than December 19th. Interested composers are encouraged to submit their work as early as possible to accommodate conductors and performers looking to plan their repertoire for the semester. Solo and chamber works involving string instruments may be submitted. However, composers should take note that A&M-Commerce does not have a string program and composers are strongly encouraged to provide their own string players. Composers who cannot supply their own performers are still welcome to submit, as the Department of Music may secure supplemental string musicians for the conference. Composers and presenters who are selected for this conference are required to remit a registration fee and must agree to attend the conference. The Society of Composers, Inc. is not able to offer travel stipends or honorariums to conference participants. For questions about the SCI 2019 Region VI Conference, contact David Davies at david.davies@tamuc.edu. Society of Composers, Inc. is pleased to announce the first annual Jazz Composition Competition. One first prize will be awarded to a composer. All entrants must be SCI members at the time of submission. Join SCI at http://www.societyofcomposers.org/join. Submitted works must have been composed in the past 5 years from the submission deadline. Only original works for jazz big band are eligible; arrangements are not eligible. The work submitted must have not received an award in a national or international composition contest. Submit both a score (PDF) and a recording (mp3) of one work composed for standard jazz band instrumentation [5 saxophones (with or without standard doubles), 4 trumpets/flugelhorns, 4 trombones (3 tenor plus bass), piano, guitar, bass, drum set]. The recording submitted can be of a studio session, live performance, or sequenced format. Live or studio recording preferred. For additional information or questions, contact the contest coordinator, Dan Cavanagh, at scijazzcontest@gmail.com. Congratulations to the winners and honorable mention recipients in the 2018 SCI/ASCAP Student Commission Competition. They are listed here along with links to sound files of their winning compositions. Deadline: May 31, 2018, 11:59 pm EST. 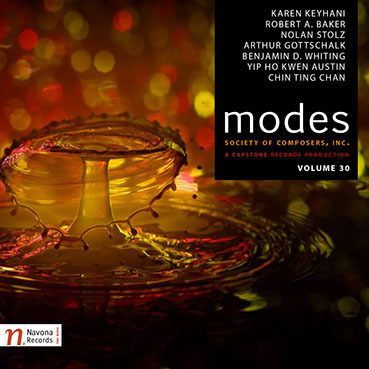 The Society of Composers, Inc. is pleased to announce a call for works for Volume 33 of the Society of Composers, Inc. CD Series. The winners of this call will be featured on our SCI CD Series, released by Navona Records, a label under PARMA Recordings. To see an archive of past SCI CDs, please visit this page. The Society of Composers, Inc. is pleased to announce a call for works for Volume 58 and 59 of the Society of Composers Journal of Music Scores.To see an archive of past SCI Journals, please visit our WEBSITE. Any questions can be directed to Chin-ting Chan: submissionscoordinator@societyofcomposers.org. Deadline for submission is MAY 31, 2018. The University of New Mexico and the Robb Musical Trust are pleased to invite composers of all ages and nationalities to submit scores for performance at the 2019 SCI National Conference (March 28th to March 31st, 2019) as part of the 48th annual John Donald Robb Composers' Symposium. *Questions about the conference may be directed to the Robb Musical Trust Program Specialist, Eva Lipton-Ormand: admin@robbtrust.org. UNM Music Department ensembles and performance faculty. Deadline for submission is June 1, 2018. Programming decisions will begin to be announced starting on Sept. 15, 2018. September 27-29, 2018 at the Jacobs School of Music, Indiana University. I would also like to acknowledge our judges: Igor Karaca, Leah Reid, Rebecca Waller Gillan, Christopher Coleman, and Mark Petering. Thank you for volunteering your time and expertise to adjudicate this call - your work is indispensable to our organization. 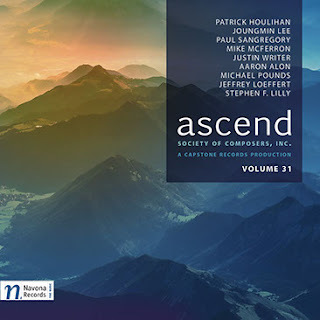 SCI and PARMA Recordings invite you to experience the recent Navona release of ASCEND, Volume 31 of the SCI CD Series, featuring works by Patrick Houlihan, Joungmin Lee, Paul SanGregory, Mike McFerron, Justin Writer, Aaron Alon, Michael Pounds, Jeffrey Loeffert, and Stephen F. Lilly. We are pleased to announce the winners of this year's SCI/ASCAP Student Composition Competition!!! 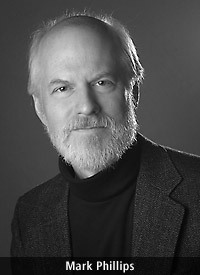 We are pleased to announce Dr. Mark W. Phillips as the next President of the Society of Composers, Inc. by virtual acclamation. Our current President, Dr. James Paul Sain, will officially install Dr. Phillips as the next leader of our organization during the SCI National Conference, held at Western Michigan University, March 30-April 1, 2017. We extend our congratulations to Dr. Phillips, and we thank Dr. Sain for his many years of exceptional service to our society! SCI, in conjunction with ASCAP, is pleased to announce the 17th annual Student Commission Competition. One first prize will be awarded to an undergraduate or high school student composer and one first prize to a graduate student composer. These commissioned works will be premiered at an SCI Conference and, if qualifying, a recording of the work will be included on the SCI CD Series. 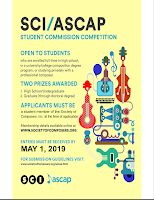 Check out Issue XLVI: 4 of the SCI Newsletter, which features an article about the SCI/ASCAP Student Commission Competition written by Mark Phillips. The UNC Greensboro Chapter of SCI is excited to announce the call for scores for the Society of Composers, Inc. Region IV Student Conference! Any student currently enrolled in a high school or university is eligible to submit works, with a preference for students in SCI Region IV (AL, FL, GA, KY, LA, MS, NC, SC, TN). Check out Issue XLVI: 3 of the SCI Newsletter, which features an interdisciplinary perspective on professionalism written by Andrew Martin Smith. The University of Texas at Arlington is pleased to host the 2017 Region VI Conference from Feb. 2-4, 2017. 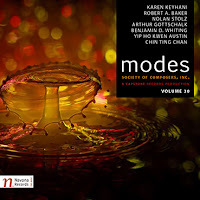 We are excited about the recent release of MODES, the 30th edition to the Society of Composers, Inc. CD Series, on Navona Records, a classical label imprint of audio production house PARMA Recordings! Check out Issue XLVI: 2 of the SCI Newsletter, which features a Region III Conference Report from Mark Zanter.